Flagler County has “No Nit” policy. 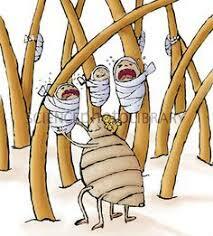 Any student sent home with lice/nits cannot return to school until checked and cleared by the nurse. The student will not be allowed to ride the bus, attend extended day, or attend any school functions until cleared. Student needs to be checked daily in clinic, if student is found positive; they will be given an excused absence and must make up their school work. If student fails to come to school for head check, than the day’s absence will be unexcused for that day. A flow sheet will be maintained by clinic.